These days, making sustainability part of your everyday can be as easy as jumping on your smart phone or tablet. Whether you’re into design and fashion, clean streets, great recipes or after a new fridge, you can bet there’s an app to help you make planet-friendly choices. Check out these free techy tools that are at your fingertips to make sustainability second nature. With National Recycling week on our doorstep this November, get the low-down on how to correctly dispose of around 200 items including plastics, glass, batteries, pizza boxes and more. Check out Council’s guidelines plus tips on how to do the right thing. Thanks Planet Ark! 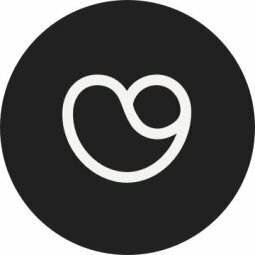 Set up by a social enterprise in Sydney, this app lets you make a difference every time you shop! You can choose brands based on ratings across three key categories; people, the planet and animals. Shopping around for a new fridge, dishwasher, TV or even computer? This app helps you choose products that mean lower energy bills and a smaller carbon footprint. You can easily compare running costs of appliances and equipment, linked to simple star ratings like those you see on stickers in the shops. You can choose low-impact materials and fabrics for your designs and products with this cool app. Materials are scored based on comparing attributes like energy and greenhouse gases, water and land use, waste and chemistry. Even if you’re not a designer, it’s a great tool to check in on the environmental impacts of materials you use. Thanks to the Australian Marine Conservation Society, you can easily check whether the fish you’re buying is overfished or sourced sustainably. Over 90 seafood species are sorted into three simple groups: what you shouldn’t eat and why, species you should try to avoid, and the most sustainable choices. Whether you’re a newbie to growing vegies or a seasoned green thumb, this is your go-to guide. You can check what’s best to plant when (even tailored to Sydney’s climate zone! ), get growing and pest control tips and set reminders to harvest your tasty garden crops. Keen to keep our local area clean and pollution-free? You can now easily report incidents like littering from vehicles and smoky cars while you’re on the go with this simple app. The NSW Environment Protection Agency will then sort it out on their end. What’s your favourite eco app? Thanks so much for mentioning Good On You – the app that rates 1,000s of brands for their impact on people, the planet and animals. Use it to see which clothing accessory, and footwear brands support your values! More product categories coming soon.